Delivery from £13.68 to United Kingdom in 8 - 12 weeks. Bela leads to a fantasy world where one can imagine their dream character!! 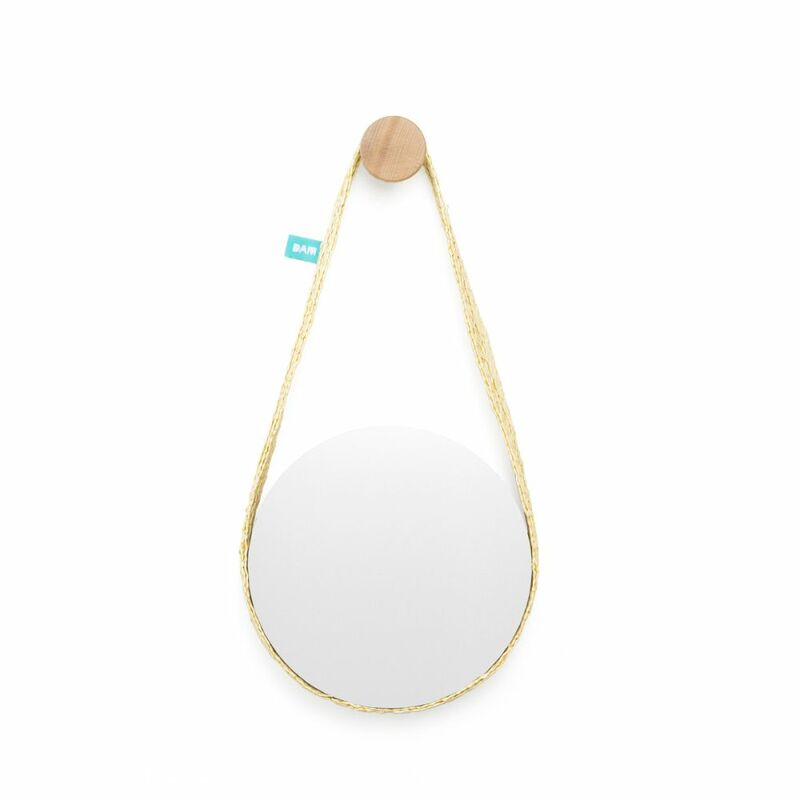 This wall mirror is suspended by a straw strap. Its simple circular shape is decorative but also functional, and can become a face mirror. Made with hand-sewn straw braid (strap) and solid ash (fixed wall hanger); The finishing is colorless matt varnish (fixed wall hanger). Between tradition and modern times, the brand combines materials and traditional techniques with creative and innovative drawing.